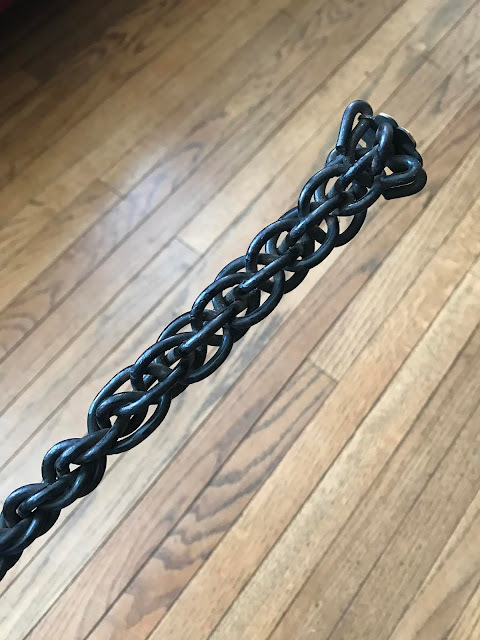 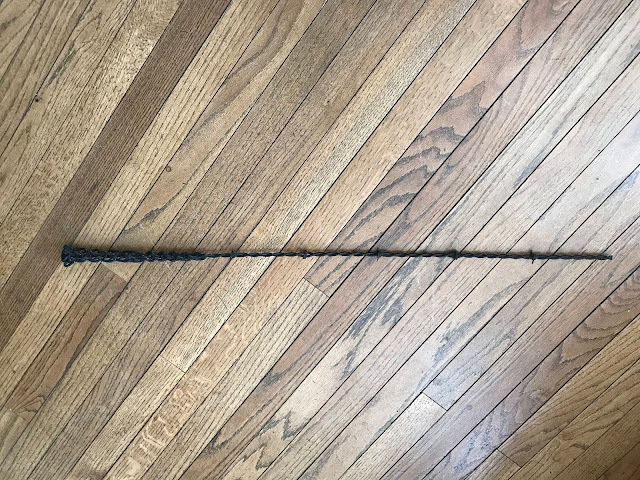 A Jacob Haish barbed wire cane has made its way to Haish family... it's now in possession of members of my immediate family! 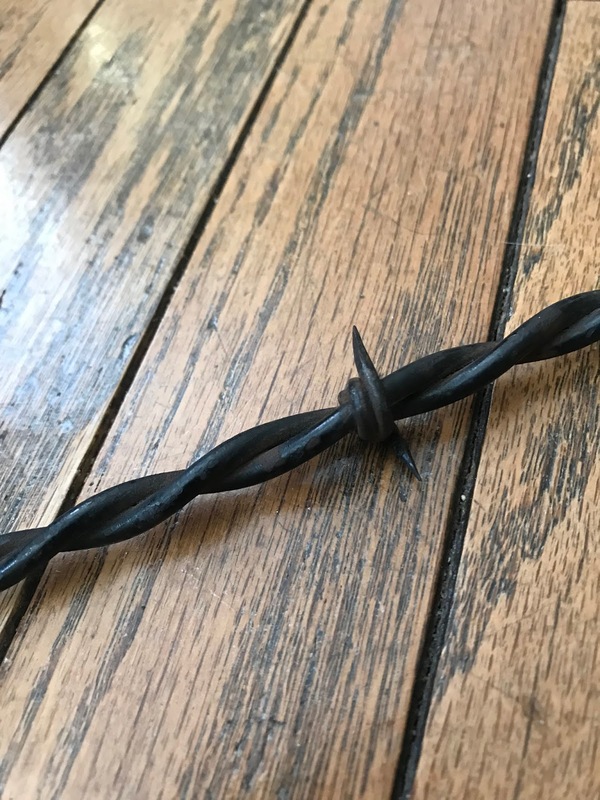 Haish manufactured these barbed wire canes as a promotional item, another innovative way he advertised his products. These canes vary in design; the brass tops can vary in shape, and there are 10 different versions of the cane that can be collected. It is unknown how many were made, or how many are still in existence. 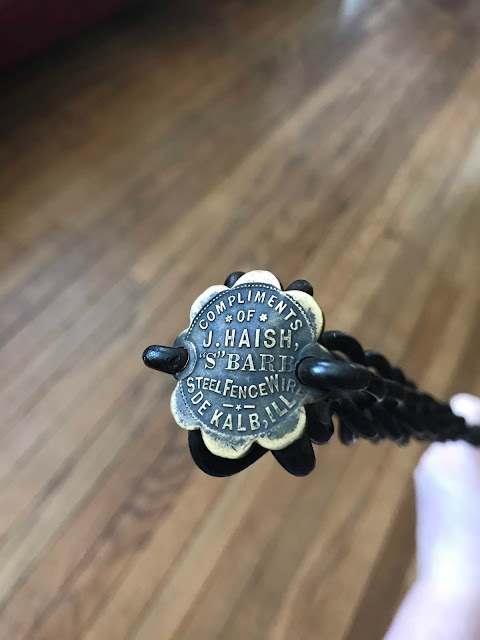 There is a wealth of information and photos regarding Haish canes here.